I haven't been able to capture a photo of a hummingbird yet, however, I've been stalking these cute little guys called "Hummingbird Moths"or "Sphinx Moths". They feed on nectar during the day and often get mistaken for a small hummingbird, even emitting a low hum when they fly. 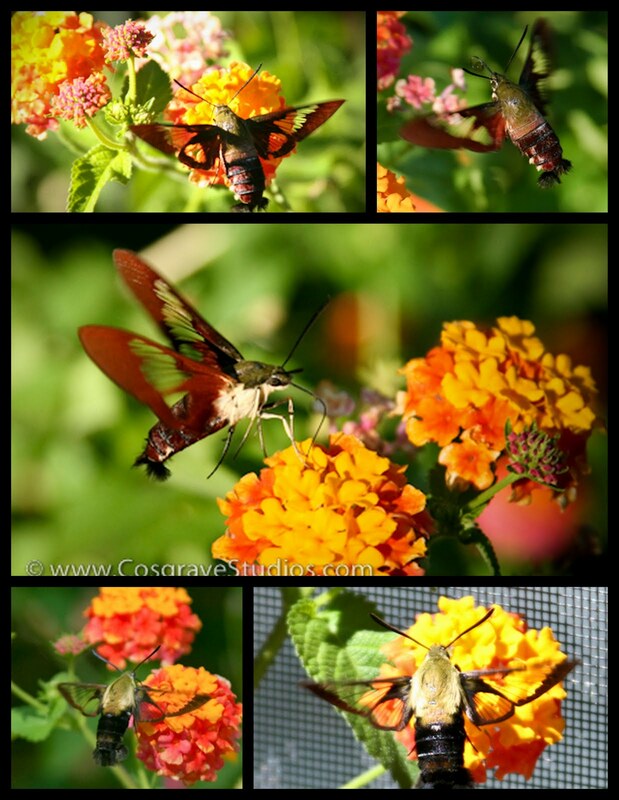 Here I have a selection of the Hummingbird clearwing (Hemaris thysbe), and the Snowberry clearwing (Hemaris diffinis). As you can see, the Hummingbird Clearwing Closely resembles a small Hummingbird, while the Snowberry Clearwing looks like a bumblebee - giving it the alternative name of "Bumblebee Moth". Personally, I still think they look like flying shrimp, but who am I to judge?